Not everyone is convinced by the attempts of Justice Zondo’s commission to expose state capture. While evidence at the state commission of inquiry into state capture has been seen as damning proof of the looting of the state by some, not everyone is convinced. A sizeable amount of people have taken to Twitter to express what they see as a lack of solid evidence and witness credibility at the inquiry led by deputy chief justice Raymond Zondo. Others have accused the commission of mirroring the CCMA – the organisation that deals with labour disputes. This seems to imply either that people stand accused of being bad at their jobs rather than being guilty of anything illegal, or that the inquiry has shown an inability to fully demonstrate what illegal activity those accused are guilty of. Can I say this: Any Black person who still believes that Zuma sold the country to the Guptas, is foolish bothering on moronic! #BathabileDlamini #DuduMyeni cleared of allegations, and lack of #StateCapture evidence. Zuma was fired so #REIPP could be signed and real looters loot! Others have accused witnesses of “lying” or being unreliable. The credibility of former deputy finance minister Mcebisi Jonas was initially questioned by some on social media when he admitted that he did not know for certain which Gupta brother was present when he was allegedly offered the position of finance minister. Vytjie Mentor’s testimony was questioned soon after, more widely than Jonas’s, due to a similar alleged inability to tell the Guptas apart as well as a failure to distinguish between businessman Fana Hlongwane and ANC politician Brian Hlongwa. Some have, however, argued that those scrutinising minor details in testimony are missing the bigger picture. The Citizen’s Brian Sokutu argued in an opinion piece that Mentor has been unfairly mocked for her memory loss. 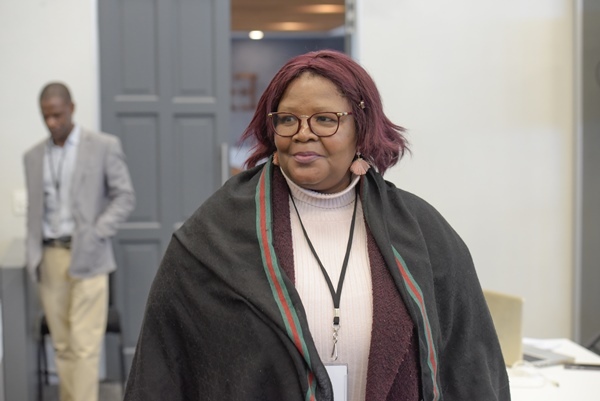 “Some may mock Mentor for coming across as slow or forgetting dates or some details in her testimony about what happened eight years ago while addressing the commission headed by Deputy Chief Justice Raymond Zondo,” Sokutu wrote. “But what we have failed to do is admire her courage to speak out against very powerful people: Zuma, the Guptas and some cronies who hold levers of state power. But Phumla never cited any EVIDENCE of state capture or even corruption but terrible labour relations and interpersonal challenges. What does it say that 7 months under a 'new regime' she's still acting in that position? The evidence, so far, paints Faith as a bad boss. Where is state capture evidence against her? The commission is not CCMA but state capture. How much did Faith give the Guptas & Bidvest? That's evidence that is needed. To date no evidence has been laid bare of the so called looting which amounted to so called state capture by Guptas. Those unhappy with the inquiry appear to be divided between those who feel the inquiry has vindicated those accused, such as the Guptas and Jacob Zuma, as they believe there is not enough evidence against them, and those who feel the people implicated are indeed guilty but will not see justice. City of Johannesburg Mayor Herman Mashaba appeared to agree. The Citizen reported on August 20 that Mashaba believed the state capture inquiry is a futile exercise as there wouldn’t be consequences for those found to have looted the state. Mashaba said: “I appreciate the contribution of those to participate in state capture enquiry, but we undoubtedly know about serious crimes committed by the Guptas and company. The Guptas must be arrested, brought back in chains, and bring all these people as witnesses in court.